Rav Reuven Leuchter is one of the leading mussar personalities in Eretz Yisrael today. His weekly shiurim in Yerushalayim and Kiryat Sefer, as well as his worldwide teleconference classes, inspire growth in Avodas Hashem for scores of listeners including young bnei Torah and established rabbanim. Born in 1956 and raised in Lucerne, Switzerland, Rav Leuchter studied mathematics at University of Zurich before emigrating to Eretz Yisrael to learn at Yeshivas Mir. Beginning in 1980, Rav Leuchter became a primary disciple of Rav Shlomo Wolbe zt”l, and remained among his closest students until Rav Wolbe’s death in 2005. Over a twenty-four year period of regular one-on-one learning, Rav Leuchter absorbed the essence of Rav Wolbe’s approach to Avodas Hashem and personal development. Rav Leuchter’s comprehensive study of Nefesh Hachaim, the entire writings of Rav Yerucham Levovitz of Mir, the writings of the Alter of Kelm, and Rav Yisrael’s Salanter’s Ohr Yisroel – all of which he studied with Rav Wolbe – enrich his regular shiurim and vaadim, and are reflected in Rav Leuchter’s published commentaries to both Nefesh Hachaim and Ohr Yisrael. 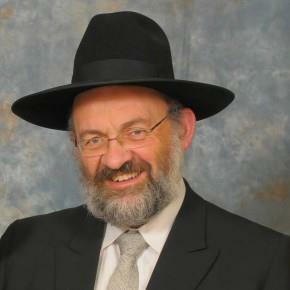 Today, after a career as mashgiach and Rosh Kollel at illustrious Israeli yeshivos including Chevron Geulah (1991 –1998), Rav Leuchter serves the Torah community through regular private shiurim and through his ongoing work with Ner Le’Elef, a foundation dedicated to preparing young rabbonim for careers in kiruv rechokim and chinuch.